I put together this recipe to celebrate IC Awareness Month. Like so many of you, this recipe is bold and amazing! Made in a blender, the easiness of this desert matches its cool smooth texture. 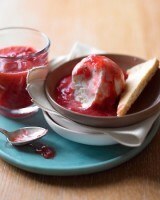 Impress anyone with this made in minutes dessert. 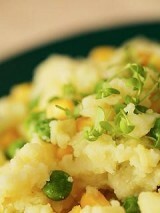 We mash in fresh peas and corn to add a little sweetness that the classic mashed potato recipe needs!